Dental braces involve a diverse of orthodontic appliances that are used to straighten teeth, help teeth fit together, and reshape the jaw. The most common type of braces are wire and bracket systems, and aligners. The wire and bracket systems are made up of brackets which are fixed to the teeth in strategic places to form anchor points for the wire. When the wires are tightened, they pull on the brackets which in turn press on the teeth. It’s this force that makes the teeth move over time. Brackets are repositioned and wires are tightened at regular intervals to ensure the process works. With aligners, clear or tooth-colored plastics are used instead of wires and brackets. These aligners apply gentle force on the teeth which gradually shifts them into place. The aligners are replaced every few weeks with a new set that keeps the pressure on. Braces come in all shapes and sizes for all sorts of budgets and problems. But there are two main types: wire and bracket, and aligner. Traditional braces are made out of metal brackets and metal wires. They’re effective, reliable and predictable in their results ando also the cheapest option. Ceramic braces are pretty much like traditional braces but they use white ceramic brackets and white wires which makes the appliance much less evident than metal. Lingual braces are still using the wire and bracket systems, but they go on the inside of your mouth and that makes them the most unnoticeable braces you can possibly get. The disadvantage of these is that they uncommon, sometimes rare to find and require very precise work, they are more expensive and can take longer to get used to. Fast braces are braces designed to work in six months rather than years, but these fast brace systems are typically intended for cosmetic realignment of the front six teeth, not full orthodontic work. The most common form of aligner today is Invisalign which uses clear plastic aligners for the teeth reposition and are almost completely unnoticeable. Each set of aligners is made specifically for your mouth. 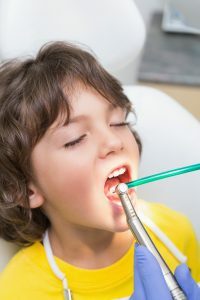 They apply them with a soft pressure to your teeth, and each two weeks they need to be changed for a new set. You can remove the invisalign aligners by yourself clean your teeth or eat.